Image credit: U.S. Customs and Border Protection. All rights reserved. 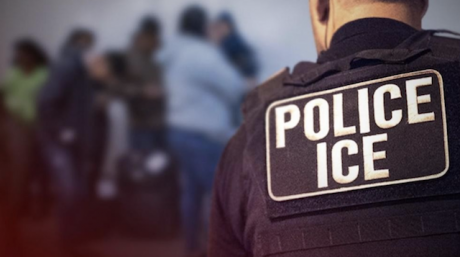 At a press conference in Charlotte, North Carolina on Friday, February 8, 2019, Immigration and Customs Enforcement (ICE) regional director Sean Gallagher announced a “new normal” for his agency in terms of how, where and why they will be arresting people considered to be immigration violators. The conference was called because of the sudden and drastic uptick in immigrant arrests in Central North Carolina over the last three days, which ICE confirms have now reached to 230. Gallagher blamed area sheriffs who refuse to participate in 287(g), a policy enacting cooperation between law enforcement and the Department of Homeland Security (DHS, which oversees ICE) wherein local jails are expected to respect ICE requests and detain people arrested for a crime suspected of also being undocumented until ICE arrives. As some local sheriffs and police refuse to turn offenders over to ICE, ICE claims it is being forced to go into communities to seek them out by itself. The regional director claimed that because local sheriffs and police are not turning offenders over to ICE, ICE is being forced to go into the community to seek them out. And when they do so, ICE agents may also make “collateral arrests,” detaining anyone in the area who is not capable of providing official documentation to prove their citizenship or legal status at their discretion. It’s a move reflective of the hostage-taking negotiating style of the Trump Administration, like shutting down the government and starving low-wage federal workers and SNAP recipients, or separating small children from their parents at the border. If you don’t want working people, immigrants and refugees used as pawns, fund the wall and hand over enough immigrants to satisfy the current appetite for scapegoats and fulfil the president’s nativist campaign promises. Give us the “bad hombres” and the “good immigrants” can go free. Ironically most of the people arrested at Bear Creek Arsenal, the gun manufacturer in Sanford, weren’t even men. Christian Canales, who live streamed meeting ICE officers at the factory and was later arrested and released for “communication threats,” noted that most of the employees detained were women, majority from El Salvador. One of them was held for nine hours before being released to take care of her handicapped child. Bear Creek’s main product is the AR-15, the automatic rifle notoriously employed in recent U.S. mass shootings. Most of the employees detained were women, majority from El Salvador. Recently elected Mecklenburg County Sheriff Garry McFadden ended 287(g) on his first day in office in December 2018, as did Sheriff Gerald Baker, his counterpart in Wake County, location of the state’s capital, Raleigh, who released 18 persons on immigration hold from the county jail on December 18. Durham County Sheriff Clarence Birkhead reaffirmed Durham policy not to honour ICE detainers as soon as he came into office as well. Sheriff Charles Blackwood of Orange County, where Chapel Hill is located, declared that Orange County has not collaborated with ICE since 2014.